We were at the Sydney Opera House watching a Sydney Symphony Orchestra performance, when we spotted Jeremy and Jinger in the front row. We had a lovely chat with them, they were so sweet and friendly and we got a photo inside the concert hall! They said that they were having an amazing week in Sydney and looked so relaxed and happy together. They need more time together first! I doubt God keeps track of a woman's calendar and decides when things are "best." These things just happen as they always have in the animal kingdom. He knew us before we were in the womb. He already knew the number of our days! Actually, if you trust God's will for your life, things will happen in HIS timing, which is always perfect. We're not vegetable or mineral, so that only leaves animal. Go look up how much DNA we share with pigs and apes. No, we are not animals; we are human beings. The phrase "animal, vegetable, or mineral" is a human construct. Earthquake is NOT a storm! I'm so glad they were not in New Zealand. I wish they would visit Austraila Zoo send us pics. That is the one place I would love to visit outside the USA. I love the Irwin family and their message of conservation. Jinger is second from the left in the photo. You're looking at the wrong person. Ummmm....are you sure you know which one is Jinger im the pic? She is dressed as modestly and beautifully as ever. Her dress is not short. You are looking at the wrong picture, I think. No, you can definitely see her left knee. Her skirt is higher than ever. I know what picture you are referring to & I think she looked absolutely stunning as usual...Why try to destroy a beautiful persons confidence & self esteem is so shocking to me & Jinger I really hope you don't let this affect you in any way because you are such an amazingly beautiful person with a style & personality to match & lots of people look up to you, so don't change anything about yourself because if my daughter had lived & was like you I'd be extremely proud of her!!! Congratulations on being you & your marriage also... :)! Probably reality, fatigue and balancing difference. Hope they are provided the privacy to bond closer. Jinger actually looks stressed at several points in this video while Jeremy is speaking in his lines. I've noticed that each time it's their husband's turn to run their lines, all the Duggar wives "gaze adoringly" at their spouse on cue...but they're actually looking at their mouths, not their eyes as you would in a normal conversation. It's obvious they're waiting for him to finish his lines, o they can speak theirs. It's kind of sad that they're not being "real" with each other or the viewers. I think they just look reeally tired. All that travel catching up with them. Who stops in the middle of their honeymoon to make a video for "their public"?! And she sure has a grip on his arm. Is she worried he'll try to get away? I know I thought the same thing about the video. Why are most of the "Anonymous" people so critical and negative? It's really sad. Adding a name doesn't make a person any more positive. As an Australian the idea the Jinger has of holding a kangaroo is a little funny. They are a very large animal that you can't hold. You can hold a joey. yep as an aussie I know that you shouldn't even go too close to them as they can be very dangerous. Not really, no. While they are small enough to hold they generally hang out in their mothers pouch where they should be. There's a zoo in Georgia (USA) that has a kangaroo center. They let you hold a joey. There are other zoos in the US that let you feed adult kangaroos by hand. I'm sure they were raised around people, not like a "wild" kangaroo. Is an earthquake a storm though? Absolutely not, in the meteorology sense. A "storm" of events or emotions or trials, maybe. Hi! Yes I was in New Zealand for the earthquake (it is not called a storm - it is a natural disaster!!). A difficult time for our country right now. Would be fun to see Jinger and Jeremy here! Any honeymoon footage planned for future Counting On shows? Naturally we'll see honeymoon footage! Who do you think paid for the honeymoon! I'm sure they are being paid for the coverage and videos. Part of being a TLC asset. So sad to read Joy-Anna is courting. 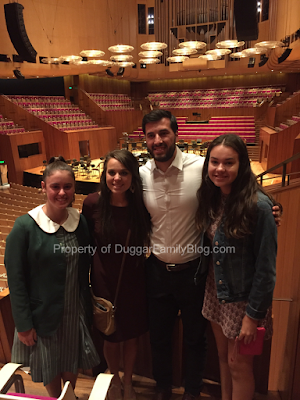 There is quite a time difference between the States and Australia, so Jinger and Jeremy are suffering from major jet lag. it would be impossible to appear peppy for a video, when they are exhausted. Why are they making videos on their honeymoon anyway? Because they get paid to put on a TV show. Hope they are happy. Jer doesn't seem to be as hands on as he was when they were courting. What is going on with Ginger's hair in the video? It's not as bad as the last video, but has she stopped doing her hair since she got married?? Ginger is probably to exhausted to worry about her hair! She looks very happy, and very much in love . I live really close to where the earthquake was in NZ. It has really affected some of the small towns in the south island of NZ where I live, but thankfully the major city I live in escaped major damage. The earthquake went for about 3 minutes and was a lot like being in a boat in really stormy weather! In Christchurch where I live, we had major earthquakes in 2010/2011 so our city is being built at the moment. Please pray that our country may be kept safe from quakes and the people whom this quake affected may find peace and comfort in troubling times, with aftershocks continuing. Glad to hear you're okay, Olivia. We will be praying for your country. It was very kind of the Vuolos to respond graciously to a picture request from someone who recognized them from the show. And I have friends who have flown that long flight to Australia and they said the jet lag and different time zone took a few days to adjust to. But no doubt they are enjoying this once in a lifetime honeymoon adventure! I am so happy for them! I live just South of where the earthquake occurred. They are not much fun, but part of our lives here in NZ. hope the vuolo's are enjoying the get to know each other phase of their marriage. It really is no one's business if and when they get to the point of expecting a baby. Let's just let them get their lives together and settled and become comfortable with each other. It's quit a journey learning to live with a person that you haven't grown up with. My husband and I enjoyed 49 years before the Lord took him home. You never really know the other person you live with day in and day out. That would take a mind reader. Just trust in the Lord and you will not go wrong.